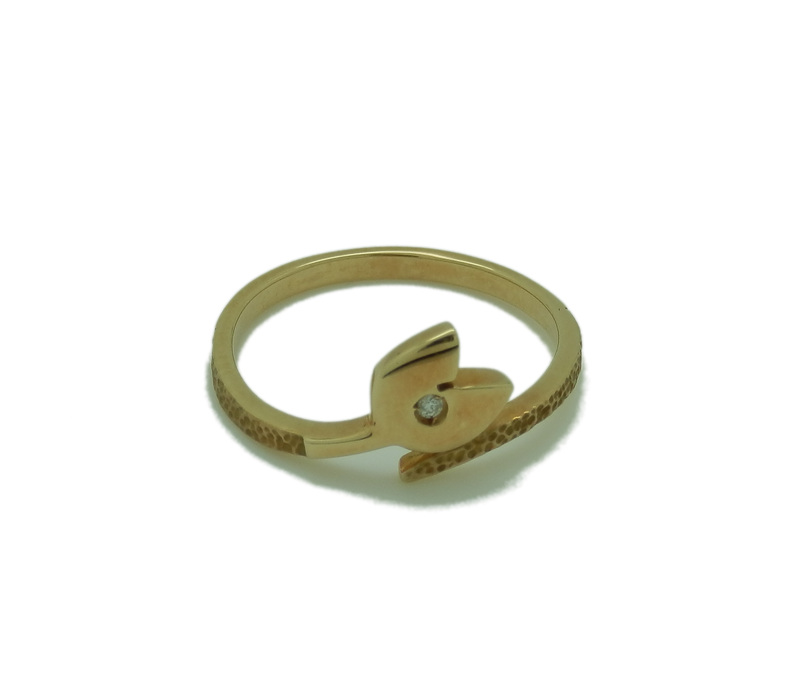 Ring 18K gold, 1 diamond 0 brilliant cut, 01CT, measure finger No. 13, HAMMERED and POLISHED gold finish. CAN be customized in 3-4 days.